Today’s entry for Monday Escapes actually was an escape… from the rain! We had originally considered maybe going hiking at the weekend, but Jan had a cold and didn’t really think he was up for it. With the weather forecasters predicting rain, rain and more rain, hiking was off anyway, so on Sunday we decided to take a trip to Kerzers Papiliorama (Saturday involved a spontaneous trip to Mulhouse, but I’ll tell you about that some other time). Those of you who speak even a tiny bit of French will probably have already guessed what our day involved: Papillon = butterfly! yes, it’s a butterfly house (just outside the town of Kerzers in region Fribourg, in case you were wondering about the rest). But it’s not just a butterfly house – our first stop was in the nocternal area, where we saw very active porcupines (I don’t think I’ve ever seen one doing anything but just lie around before! ), owl monkeys and sloths – no photos were allowed in that bit so I have none for you. Just inside the entrance there was an enclosure with Goeldi’s marmosets and birds (photos below this paragraph) and outside there was a petting zoo. Also, there was a jungle trail, which I’ll get to later. Check out my pretty blue breast! Orange butterfly… no idea of species! 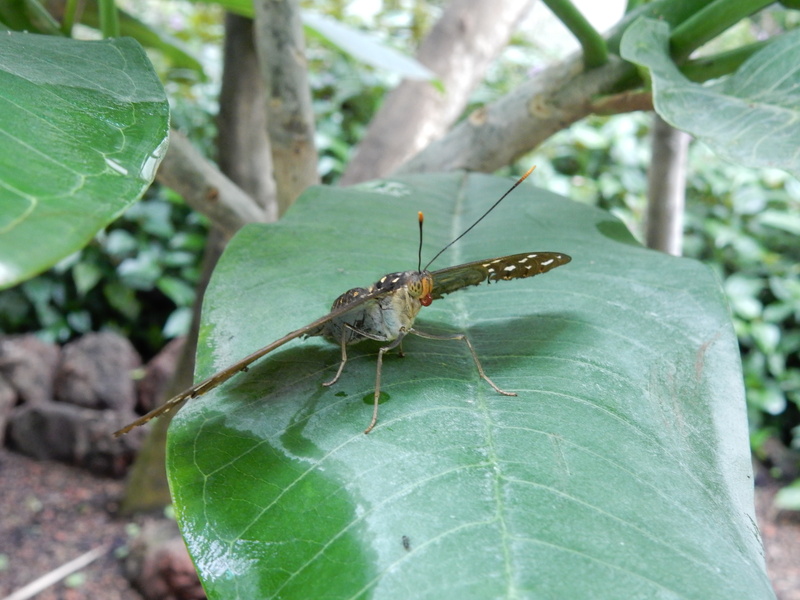 OK, now I’ve overloaded you with photos of butterflies, let’s move on to the jungle trail. The Papiliorama supports/helped set up a nature reserve in Belize, and the junge trail is an exact replica of said nature reserve in small. 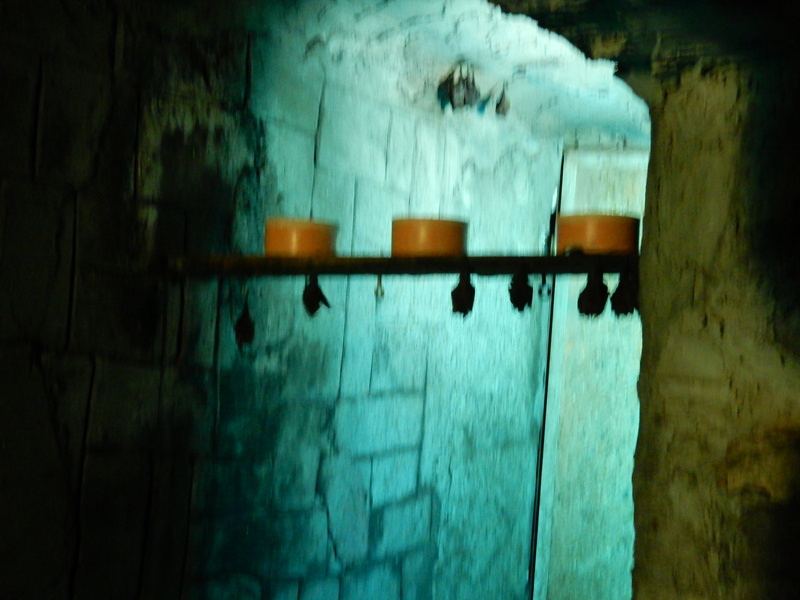 There are a few animals in enclosures in there and then birds flying around loose (and also lizards roaming around loose, but we didn’t see any – just a sign saying “stair-climbing iguanas have right of way”). The absolute best thing about the nature trail though…. toucans!! Just flying around freely – one was sitting on the fence near where we came in, and he was so close that I could have reached out and stroked him. Obviously I wouldn’t because I don’t fancy having my fingers bitten off, but still SO COOL! I love toucans!! Here, have a few photos from the jungle trail, i.e. mainly photos of TOUCANS!! Just look how close he is to that girl’s arm! In case you hadn’t noticed, I love toucans!! This love stems almost entirely from a book I had as a kid called “Two Can, Toucan” which basically tells the story of how the toucan got his colouful beak by spilling two cans of paint all over himself. Because obviously (I am sooo buying that book for my future kids by the way). Give us some… we’re hungry too! Oh my gosh, so many goat photos! I do apologise (and that’s not even all of them. I don’t know. I have no excuse…). We got a RailAway special deal, which give us 20% off our rail fare if we bought the entrance ticket and rail tickets together from SBB. From Basel to Kerzers Papiliorama (it has its own stop) took us just under 2 hours, with one change in Bern. We arrived at around 1 p.m. and took the 4:50 p.m. train home, so we managed to spend quite a bit of time there. Obviously being a rainy Sunday there were a lot of children around, but the place was big/spead out enough that we didn’t feel as though we were constantly falling over small people. So, to sum up, I can recommend! The entrance fee for adults is CHF 18 (sorry, I didn’t check the children’s price). 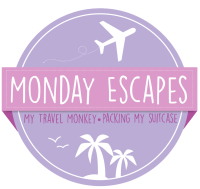 This has been a ridiculously long blog post for Monday Escapes with My Travel Monkey and Packing my Suitcase, except this time if you want to link up you have to do so on Mummy Travels as one of the usual hosts is away. Phew, I really don’t know how to make a long story short, do I?